The Artisan Group is proud to announce today’s Artist Spotlight Feature is Kelly Taylor of Cassia Aromatics! Cassia Aromatics began with a passion for fragrance and far away places. I have spent considerable time travelling specifically throughout the Ring of Fire nations in Southeast Asia and the Pacific, having lived both in Hong Kong for five years, and Bangkok, Thailand for four years. I’m drawn to fragrances which depict the exotic flora and fauna of these beautiful tropical places. When I became a mom a renewed passion for getting and staying healthy came to the forefront. Thus began an ardent pursuit wherein I also studied essential oils for their healing and life enhancing properties. My shop has a combination of fine fragrance and pure grade essential oils. Young moms particularly today are jumping with both feet into a healthy lifestyle. In December I began offering pure grade oils to my stock. These oils have been embraced by my customers, so I am delighted! 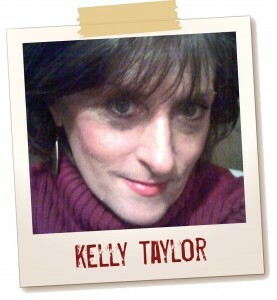 Pages of testimonials have been posted on my Facebook page; how thrilling is that? I am in the process of completing my aromatherapy certification, and spend a lot of time researching different blends and mixing up recipes for customers who request certain oils for various conditions, ranging from eczema for their babies to something to relax. Thus my love for aromas melds seamlessly with the healing power of nature’s oils. It’s a passion that I love pursuing! Right now, I am spending much time developing classes and information for my clients to provide them with ways to use these oils, so I made up a Beginner’s Aromatherapy Kit and priced it just right so that anyone on any budget could acquire a kit for themselves, their home and their family. This is also perfect for the summer season so you can take it with you on vacation or to your office for remedies for everyday use. There’s an immune formula, and the top 5 essential oils that I cannot live without: pure Bulgarian lavender, lemon, peppermint, eucalyptus, and tea tree. A five-page guide to essential oils accompanies this kit in hard copy. 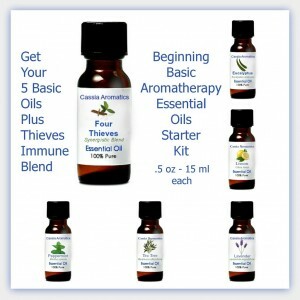 Together with the immune formula, there is virtually a medicine chest in this tiny kit which retails for $40.00 I am absolutely delighted to provide these high grade pure fresh oils! When you’re not handcrafting your luxury spa products, what are your hobbies? When I am not designing products for my shoppe (I do this in my sleep; doesn’t everyone?) my favorite things to do are gardening, particularly my culinary herbs and prized gingers and lilies, and spending time with my 15 year old daughter. I also love to explore, travel, read and try out new recipes. The best thing about The Artisan Group? Without this amazing group, I don’t think I would have known what is truly possible with the art of collaboration, networking and courage coupled with your tremendous leadership. I am truly amazed at what you and all the artisans in TAG have accomplished in a very short time. Valerie, if you ever get tired of running your shop, I do believe you could teach artisans how to launch their dreams. The organization required for you to do what you do staggers me. 🙂 Much much appreciated! Kelly recently participated as a display participant in the official talent gift lounge on October 29 – November 1, 2012 at The Bridgestone Arena in Nashville, Tennessee, in honor of the Nominees and Presenters of The 46th Annual Country Music Awards (CMAs).